The mountains of Colorado are among the most beautiful parts of the United States, and we hope you enjoy every minute of your visit. However, some of the very features that make this area so attractive may also cause you problems, unless you are able to recognize the symptoms and know how to prevent them. As you ascend to higher altitudes, atmospheric pressure decreases, the air is thinner and less oxygen is available. It is also colder, drier and the ultraviolet rays from the sun are stronger. Each of these changes may have unpleasant effects on your body. The extent to which you are affected depends on how quickly you ascend, what elevation you attain, how hard you exercise, what you eat and drink and what health problems you may have (smoking, emphysema, asthma, anemia, diabetes and high blood pressure). 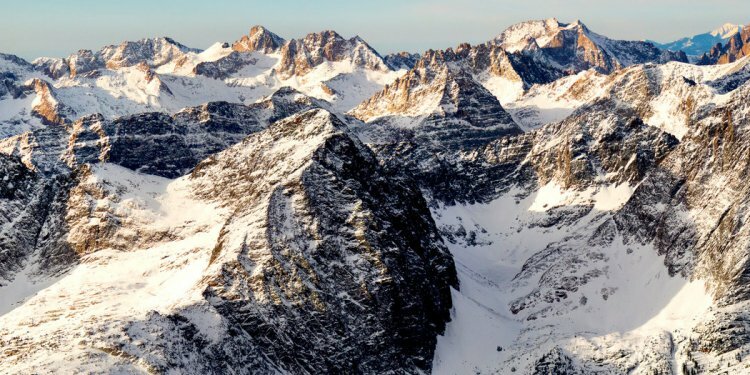 After arriving at high altitude, you will probably notice that your breathing is faster and/or deeper, and you may feel short of breath especially when exercising. This is the body’s first and most effective response to higher elevation. In addition, your heart is likely to beat faster and you may develop nausea, unusual tiredness, headache, or have difficulty sleeping. Visitors with one or more of these symptoms may have acute mountain sickness (AMS). This form of altitude illness usually resolves in a day or two. If the symptoms become worse, or if you are concerned, be sure to consult a doctor. A wet cough, increasing shortness of breath or the feeling of fluid collecting in your lungs may signal a more serious condition called High Altitude Pulmonary Edema (HAPE). HAPE requires immediate medical attention. Once you arrive at altitude, take it easy for the first day or two. Drink two or three times more water than usual. Limit alcohol consumption for two or three days and minimize caffeine intake. Limit salty foods and increase carbohydrate consumption. Above all, listen to your body! Do not push the limits of your physical capabilities. If you feel worse, seek medical attention! Minor altitude illness symptoms can occasionally become life threatening. At high altitude, the ultraviolet rays from the sun are more intense and therefore more damaging. Even when it is cloudy, the risk of sunburn is extreme. Before going out, protect yourself and your family from the sun’s ultraviolet rays. Apply a sunscreen SPF 30 or more to your skin before beginning outdoor activities and every two hours while outside. To prevent sun injury to the eyes, wear sunglasses or goggles with UV protection. The air temperature falls about three degrees Fahrenheit for every 1000 feet of elevation gain. Therefore, temperatures in the high country can drop rapidly. Hypothermia (low body temperature) can occur when you are wet, chilled, fatigued or dressed inappropriately; even during warm weather. Warning signs are confusion, difficulty speaking, irritability and loss of coordination. Bring along extra clothes, drink and eat sufficiently and watch for warning signs in each other. If in doubt, stop, warm up, take fluids and food, and, if necessary, send for help. Frostbite is caused by cold exposure resulting in ice crystals forming in the skin. It frequently occurs in the extremities, specifically the nose, ears, fingers and toes. The skin becomes numb, firm and yellowish white in color. Rewarming causes tingling and pain with skin color changes and blisters occurring in severe cases. Prevention includes dressing appropriately in winter (layering), wearing boots and gloves that are not wet or too tight, and taking time to warm up frequently.